In was back in 2015, Union Finance Minister, Mr. Arun Jaitley, stated while tabling the Union Budget of 2015 that those individual taxpayers, who are salaried, will be able to enjoy tax deductions to the tune of INR 4,44,200 (that, INR 4 lakhs, 44 thousand and 200). That’s quite a big amount. However, did you know that the amount Mr. Jaitley spoke of was actually a fraction of what you can actually enjoy? It turns out that Jaitley did not include several tax deductions options, which truncated down the amount he stated, that is INR 4,44,200. If those unspoken options are included, it will turn out that the tax deductions available for individual taxpayers who are salaried will stand at INR 10,22,200. Just how is that possible? In this article, we will explain the same. How can one get tax deductions up to INR 4,44,200? That was the calculation used by Finance Minister Arun Jaitley. However, that doesn’t include all possible scenarios. Let us pick up one at a time. Contribution of employer towards NPS INR 1 lakh (INR 1,00,000) This can go up to 10% of the employee’s basic salary and also the dearness allowance provided by the employer to the employee. Medical allowance which is tax-free INR 15 thousand (INR 15,000) This will be available only and only if bills are submitted. Parent’s medical insurance INR 30 thousand (INR 30,000) Previously it was at INR 20,000 but in Budget 2015, it was increased to INR 30,000. Allowance for leave travel INR 25 thousand (INR 25,000) This will be available once in every 2 years. Allowance for house rent INR 84 thousand (INR 84,000) That amount is maximum amount and the actual amount will depend on two factors – the city where the employee is employed and the basic salary of the employee. Total deductions INR 2,54,000 All the above deductions are together known as Other Tax Deductions. Internet Bills and Phone Bills INR 24 thousand (INR 24,000) Available only when bills are submitted. Periodicals, Magazines and Newspapers INR 14 thousand (INR 14,000) Available only when bills are submitted. Meal Coupons INR 36 thousand (INR 36,000) This is basically part of employees CTC. Each meal coupon is priced at INR 50 on an average. 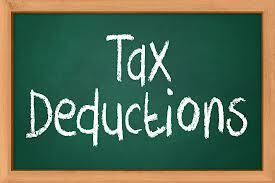 Total deductions INR 74,000 All the above deductions are together known as Reimbursements (Tax-free). This is available for everyone irrespective of the fact that the taxpayer is a male or a female. This is by the books of Income Tax Act. This too was not included in the calculations that Finance Minister Arun Jaitley gave. Individual taxpayer INR 2,50,000 The slab remains the same for female taxpayer and male taxpayer. A company may not provide reimbursements. A company may not contribute towards NPS. A company may not cover medical allowance or parent’s insurance or it may not provide for house rent. An employee may not be in the pay band required to enjoy those facilities. There may be several other reasons but the ones mentioned above are the commonest reasons usually found floating around. So, before you go up and start claiming, go ahead and check out the deductions you are eligible for and save yourself from the unnecessary trouble. The best place to contact will be your company HR who can help you understand what you will get and what you will not. If the company doesn’t have provisions for other tax deduction elements and reimbursements or if you are not eligible, the only option that will be left for you is the calculation given by Mr. Arun Jaitley. Of course, the finance minister cannot give all options during budget presentation or during any other time because it is not possible to go and find the details from every single company.